Not filing the income tax return within the due date attracts interest as well as penalty charges. Have you filed your ITR or income tax return this year? The last date for filing of income tax return for assessment year 2018-19 (financial year 2017-18) is August 31, 2018. Can you file your income tax return after the August 31 deadline? Yes, but doing so will attract a penalty amount ranging from Rs 5,000 to Rs 10,000 depending upon the degree of delay. Last month, the government extended the original deadline of July 31 by one month, announcing August 31 as the new deadline. That means, those looking to file their income tax return without having to bear any penalty charges have eleven days left to do so. 1. Income tax slabs: In the general category, individuals with annual income up to Rs 2.5 lakh are not liable to pay income tax. For those with an income between Rs 2.5 lakh and Rs 5 lakh, the five per cent slab is applicable - meaning income tax of 5 per cent. 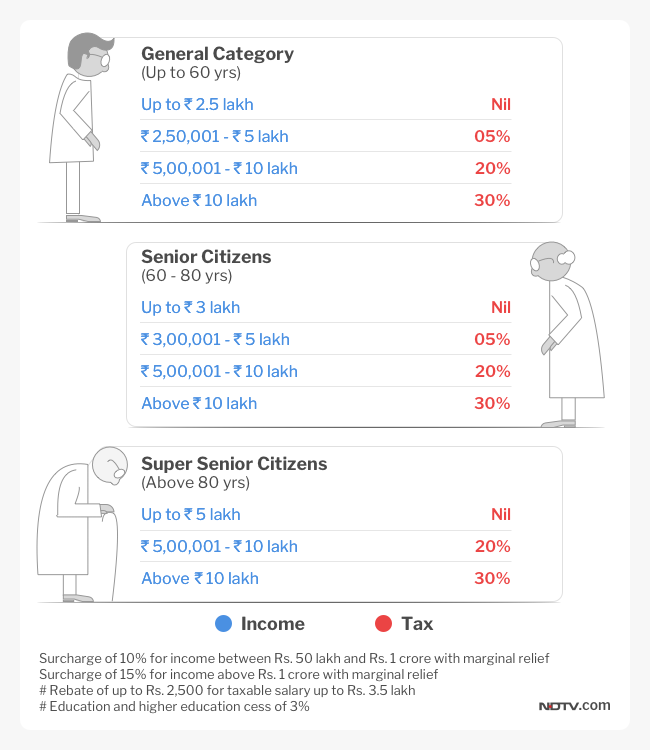 In the senior citizen and super citizen categories, annual incomes up to Rs 3 lakh and Rs 5 lakh do not attract income tax, according to latest rules. 2. Correction in income tax return: Changes to an ITR, once filed, can be made till March 2019 (for financial year 2017-18, and assessment year 2018-19) should an individual make a mistake and wishes to make a correction. Previously, assessees were given a two-year window to revise and resubmit an erroneous ITR. The earlier an individual files the ITR, the more time he or she gets for making a revision, say experts. 3. Delayed income tax return: Not filing the income tax return within the due date attracts interest at the rate of 1 per cent per month or part of the month. 4. Penalty: A three-tier fee system has been introduced for not filing income tax return within due date. If return is filed beyond due date but before December 31, then fees payable will be Rs. 5,000 whereas in other cases it will be Rs. 10,000. However, in case of taxpayers whose total income does not exceed Rs. 5,00,000, the fees payable shall be restricted to Rs. 1,000, said Ashok Shah, partner, N.A. Shah Associates LLP. 5. 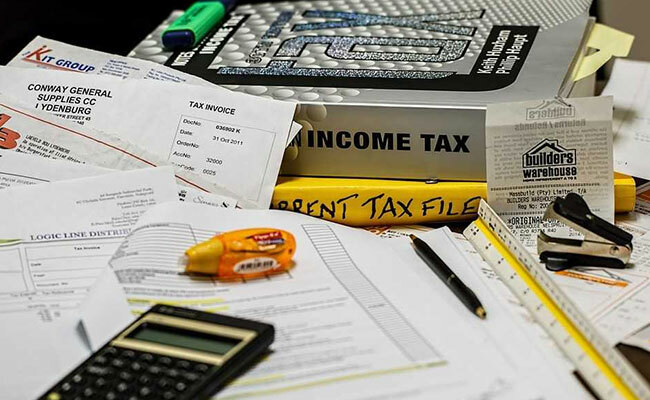 It is advisable for every taxpayer to file income tax return (ITR) well in time and avoid various consequences including levy of mandatory fee, say wealth planners. 6. Income tax forms: The Income Tax Department has provided seven ITR forms to enable assessees to file their income tax return online. These forms are namely ITR 1, ITR 2, ITR 3, ITR 4, ITR 5, ITR 6 and ITR 7. The process of filing of an I-T return online is known as e-filing. These tax forms are applicable for assessment year 2018-19, which means they relate to income earned in financial year 2017-18, according to the taxman. 7. Income tax verification: Filing or submission of an income tax return is not all. The Income Tax Department has mandated the public to also verify the income tax return after submitting it. The taxman offers several ways such as mail, net banking, ATM and Aadhaar - to verify an ITR once it is submitted. 8. Delay in processing of return of income: Once the return is filed and verification of the same is duly completed, the Central Processing Centre, Bangalore, of the Income Tax Department, processes the income tax return. It is only then that the tax liability or refund of taxpayer is determined. Thus, in case the taxpayer is claiming a refund, delayed filing of income tax return will result into a delayed receipt of the tax refund. 9. File the income tax return well before the August 31 deadline is also useful in avoiding last minute rush, say experts. 10. Around 6.84 crore income tax returns were filed during financial year 2017-18, compared to 5.43 crore filed in the previous year, according to government records.